As a family business rooted in the Shropshire area, we care passionately about every single home we build. With Morris & Co Homes you can be assured every aspect of your new home has been finely checked by our scrupulous customer care team before you move in. We are with you every step of the way, from initial viewings through to final completion and handover to help check and ensure that you are happy with everything, and we will create a snagging list in case any detail is not 100% right. We also offer a ten year NHBC warranty ensuring your home has been built to this highest standard and specifications for all new build properties. The Personal Touch – We know when you buy a home, the personal touch counts, that’s why Philippa is dedicated to making your house purchase as efficient and friendly as possible. She has been with Morris for over 26 years and has helped first time buyers through to seasoned home owners and investors get the best experience. Philippa has a keen eye for style and home interiors so can advise on the best finishing touches that complement your taste and style. She is with you every step of the way, and you can see more of her style inspiration by looking at our online guides. Site Managers – We don’t have a bank of site managers who move around developments day to day. We ensure we dedicate one site manager per development. This means you can be guaranteed of a consistent site finish. A manager which looks after the build from start to finish and regularly checks and reviews the work carried out by trades, ensuring that our quality values are upheld on every job. 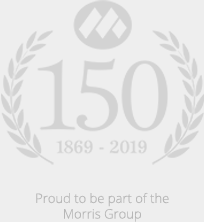 Company Directors – We are a fifth generation family business with over 100 years of house building experience and 225 commercial properties in our portfolio. At times, we’ve led the way with brave decisions to innovate and are passionate about excellence.